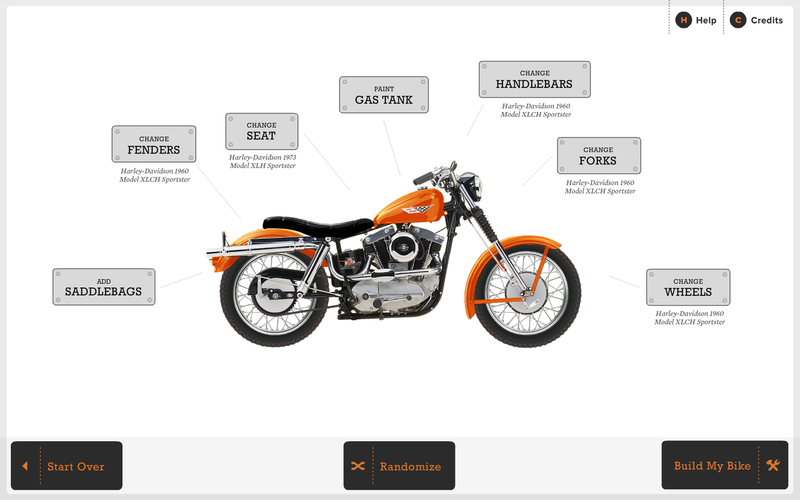 Each element of the bike is customizable. 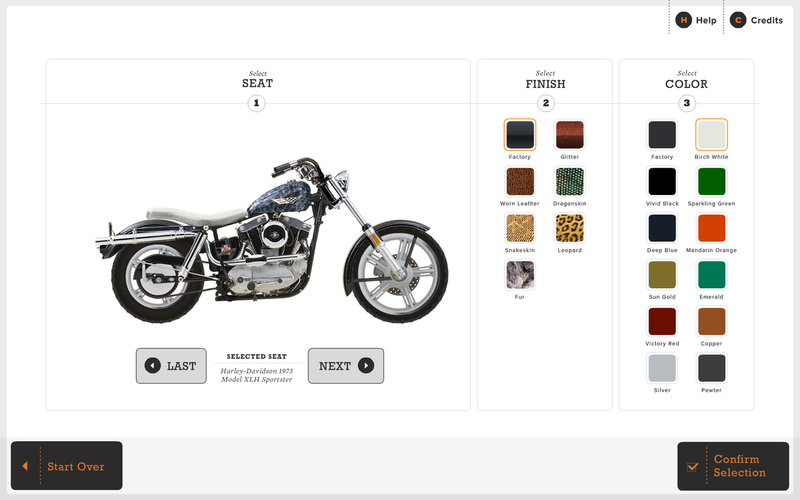 Seat customization screen. Seat style, finish, and colour are selected here. Once the bike is finished, it appears on the displays above the interacrtive. 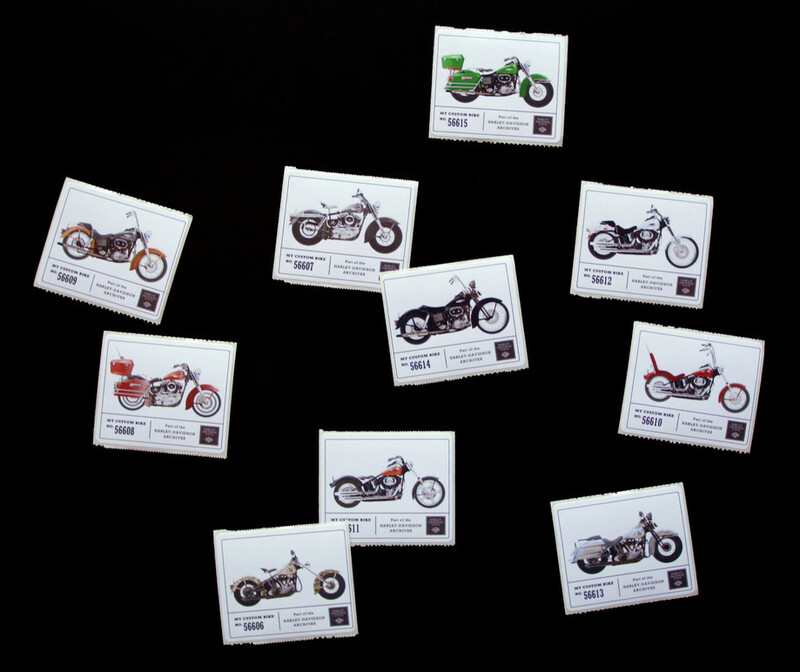 Custom bike stickers are available in the store. 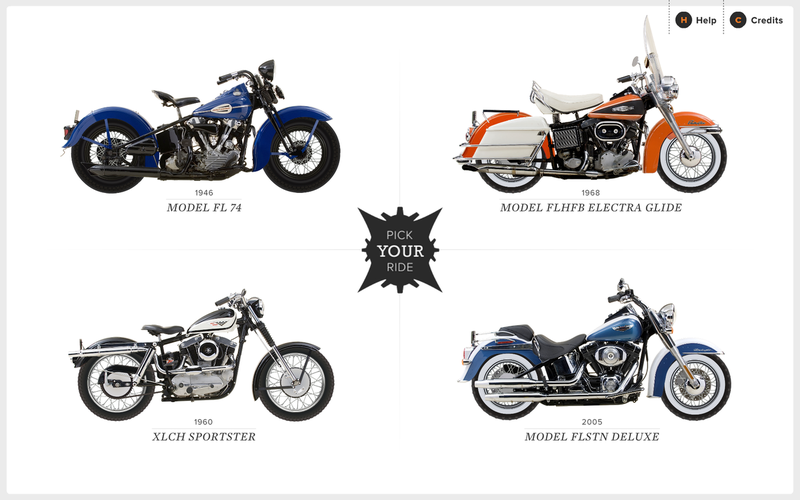 The Fantasy Bike Build is an interactive installation at the Harley-Davidson Museum that allows visitors to customize historic Harley-Davidson motorcycles. Users can previsualize an array of part options, with a large selection of complimentary finishes and paint colors. 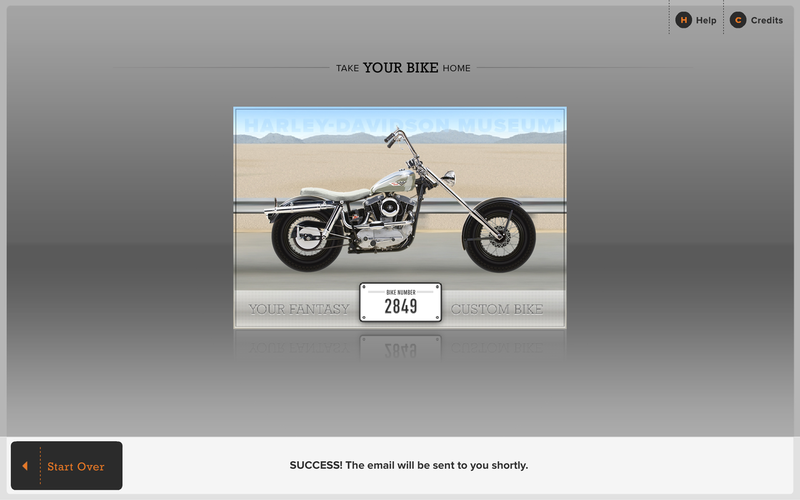 When the bike is completed it’s given an unique bike number, added to the permanent collection database, and presented above for all to see on the Virtual Road animation.